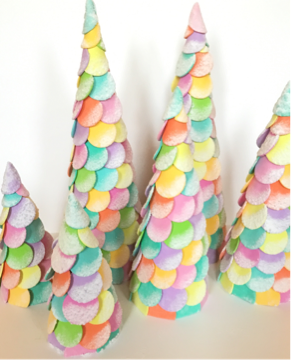 Build these fun candy cone trees for the holidays or just simply for the winter, mine are up in my classroom and it's February! 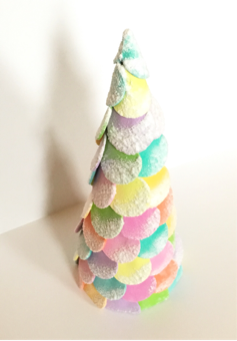 I used papier mache cones that I ordered through an art supply catalog but you can find them in any craft store these days. 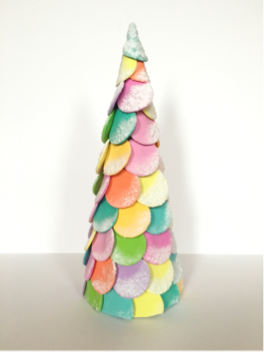 I also used a self adhesive flock which could be used on a number of projects.